I then did some Googling (naturally) and came to the realisation that there is no real content about what SEO's are or what they do. We're probably too focused on improving other peoples websites and building quality content in other niches to be worried to explain what we actually do, why it is important and why our insight comes at a pretty penny. If I am to explain what an SEO does with their 8 hours a day we first need to look at what the issue is, why it needs manual intervention and what the end result should be. That way you can easily understand if an SEO is doing his or her job or they're just bamboozling you with jargon like keyword research, schema markups and my personal favourite buzzword canonicalization, that's right say it with me, kids, "Can-Non-Knee-Cal-I-Zay-shin". Now that you've got that one down, feel free to throw it around during website audit meetings and drop the mic and walk away. So first things first an SEO's job is NOT, I repeat NOT to make you rank #1 for "electronics store *city name*" by tomorrow! 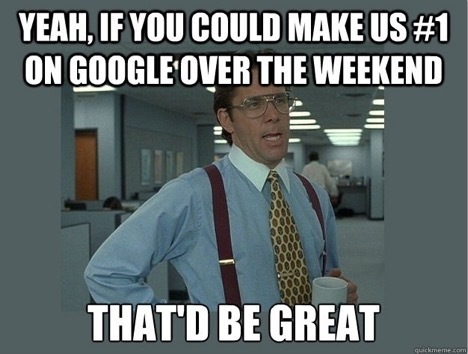 That is a job for paid search and a story for another day. Search engine optimization or SEO is the systematic analysis of a website, its target audience and online consumer behaviour in order to formulate the ideal way of improving your online visibility by boosting your website’s rankings on search engines for relevant and related search terms. This is not simply limited to Google but includes Bing, Yandex, Yahoo and Baidu depending on where you are in the world. SEO also encompasses organic webpage rankings, image search, video search, app store rankings and now voice search. This is the most popular SEO technique with many of the requirements coming from search engines themselves as they provide clues into how their algorithms work and how they will deal with ranking websites. White hat SEO covers a range of website practices which include high-quality content development, link acquisition campaigns supported by high-quality content, website HTML optimization and restructuring and manual outreach and research. When you choose this method of SEO, then you can expect a gradual yet steady but lasting growth in your rankings. 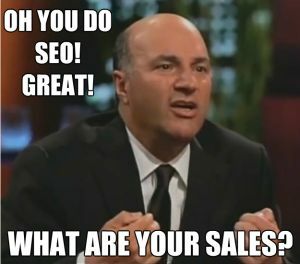 This is the only method I would vouch for if you're looking for that killer summer bod type of SEO. Blackhat SEO is a type of SEO technique which exploits the various weaknesses in the algorithms or search engines in order to get high rankings for websites. This type of method of SEO is not in accordance with the SEO guidelines set by search engines, and especially Google and algorithm updates are pushed out regularly to try and reduce these bad practices. Blackhat SEO techniques include keyword stuffing, link spam, hidden text, hidden link, cloaking. This kind of an SEO is a kind of an SEO which is neither black nor white. This is a technique that does not fully use the black hat SEO and rather combines both. This is a transformation from black to white and from white to black. Whether it is due to pressure from the website or company or to deliver better results, some SEO companies may practice Grey hat SEO to some extent. If the company you work with promises instant results or state they can rank you for specific keywords almost immediately they're probably using some sort of grey tactic which will only have you penalised by search engines once you've been caught out by the next algorithm and indexing update. 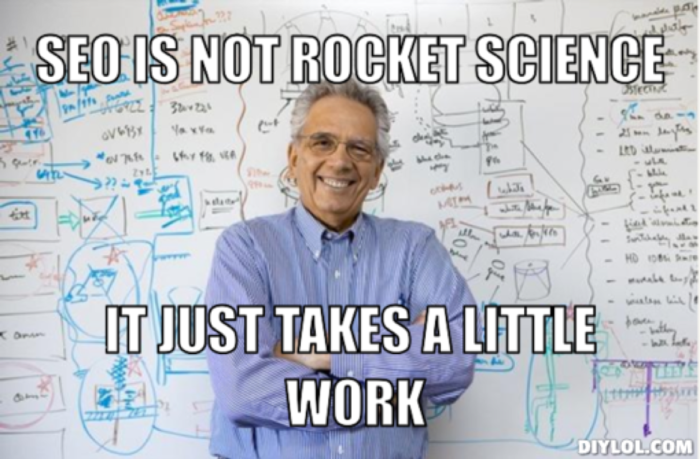 Now that you know what an SEO does it's time to look at how he or she does it. Having had the privilege to learn from various SEO's locally and internationally and also the opportunity to pass my knowledge on to the next generation of SEOs I've decided to divide SEOs into the following categories. These are the big picture guys and girls, they look at your site from top to bottom and pull it apart like Joan Rivers would an outfit on the fashion police. SEO strategists will look at where your site is lacking in terms of content, technical SEO, social media, user experience, HTML, conversion rate, conversion paths and outreach and identify the parts of your site that need the most attention. The strategist will then put together a plan of attack and systematically overhaul your site like Chip Foose. Probably one of the geekiest to of the SEO's this horn-rimmed spectacle wearing, check shirt loving, Rand Fishkin worshipping hipster enjoys his or her coffee and long strolls through analytics and spreadsheets. Technical SEO analysts handle on-site code changes such as schema markups, site speed issues, internal interlinking, browser issues, broken links, redirect mapping, URL structures, HREF tags, information architecture and duplication issues across the site or sites. They also tend to live in Google Analytics, and any other analytics tool provided to them and troll through forums on Reddit for regex hacks and plague developers to automate his work with dynamic feeds and new features. These magical little sprites put together the content your website visitors are looking for and while it may sound simple, I mean anyone can put together a few words on a page right? 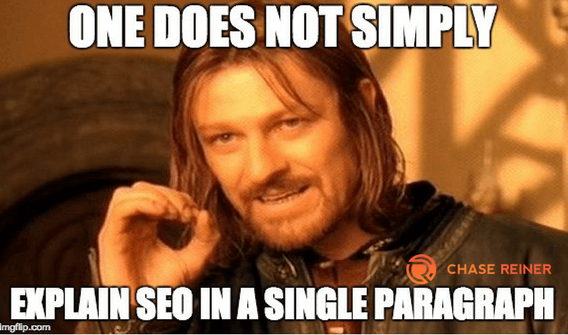 and yes you would be correct in saying that but what an SEO content writer brings to the table is something far more valuable than just words. They do keyword research, keyword mapping and many times are familiar with HTML and use the correct markups in their content for search engines to understand exactly what they're saying who they're targetting and who how this content needs to be served. Great SEO content writers don't just compete for top rankings but for knowledge boxes and rich snippets which have now become invaluable to sites that own them for certain search terms. SEO content writers are also experts in writing with conversion in mind and know exactly how to stagger their content for the various stages of interest from the researcher, mid-funnel to conversion and post-sale content. If your website is lost in the Ether and you're paying Google or Facebook heaps of money to keep traffic afloat then maybe its time to consider augmenting your current strategy with SEO. The issue many have with SEO is they're not seeing immediate results, especially when looking at their bottom line. If you're going to gauge SEO on those terms, you're only cutting off your nose to spite your face. While it may not always be the most powerful sales tool, in the beginning, it can still provide you with a range of benefits. Like attracting users from different stages of the interest/buying cycle, increase retention rates, reduce your CPA's and provide assisted conversions. As your organic rankings continue to improve you will then have the ability to spend less on direct or push marketing channels as the organic search begins to take over and you either save on your marketing costs or pick up new experimental strategies with the additional spend. The point is SEO is a slow and arduous process that has huge upside potential if done correctly and done consistently. To bet on SEO is to bet on the long game which is why it doesn't get a fair shake in the current digital marketing climate of instant results and gratification.